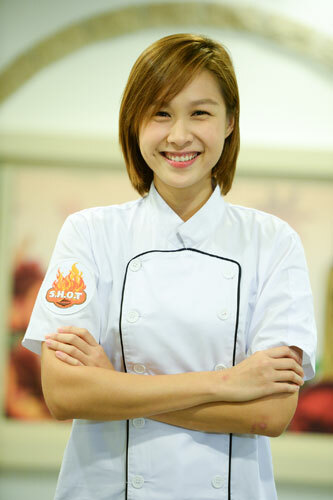 Ya Hui was just five years old when she decided she was going to be on television one day. It was 1993 and the tot was watching Ivy Lee compete on Star Search. "I told my parents afterwards that when I turned 18 (the minimum age to join the contest), I was going to be a star," she chuckles. Her parents laughed it off, putting it down to the funny, adorable things children say. But Ya Hui never forgot, and never stopped yearning for her shot at fame. She recounts the time she pestered her mother to buy a videocassette recorder - to record her first TV appearance, in a manner of speaking. "I did Chinese Dance as a cocurricular activity in secondary school. That year, we put up a performance on Vesak Day at the Singapore Indoor Stadium. It was filmed 'live' and I was so pleased to appear on screen - I watched that clip every day." Incidental TV exposure aside, the go-getter even devised various strategies to get her chance in the spotlight. Once, the now-27-year-old found out that a variety show was looking for girls with the best smile. Dropping everything she was doing, the tenacious girl hightailed it to the filming location to look for the programme hosts. "When I spotted them, I 'casually' walked past them, flashing my best smile. But they just ignored me! Even now, I still think it's their loss," she jokes. Her next two tries at stardom came to naught as well. She got booted out after the second round of auditions for The New Paper New Face contest in 2005, and didn't qualify for the Miss Singapore Universe selections, even after working up the courage to wear a bikini for the first time. "I didn't dare to tell my parents I'd forked out $120 - a substantial sum to me then - just for a bikini. And I didn't even make it past the first round!" Refusing to give up, Ya Hui made one last bid for her dream. She entered Star Search in 2007 - she didn't win the top prize, but people noticed how she shone on screen. And she won the Miss Telegenic Award, which kick-started her acting career. It's been seven years since, and the rest, as they say, is history. Once, the now-27- year-old found out that a variety show was looking for girls with the best smile. Her next two tries at stardom came to naught as well. She got booted out after the second round of auditions for The New Paper New Face contest in 2005, and didn't qualify for the Miss Singapore Universe selections, even after working up the courage to wear a bikini for the first time. "I didn't dare to tell my parents I'd forked out $120 - a substantial sum to me then - just for a bikini."